At the beginning of the year, Nigerian music icon, 2Baba Idibia announced a project that would see him raise 14 million Naira in 14 days in order to assist people currently living in IDP camps in Nigeria. Although the goal exceeded 14 days, 2Baba ensured he kept his word as the singer recently awarded the United Nations High Commission for Refugees(UNHCR) a total of 3.5 million Naira. During the presentation which held on Monday, the 27th of February, 2Baba shared that the state of IDP camps during his recent visit forced him to embark on the fundraising, a gesture made through his foundation; 2face Foundation. The Ahaban Educational Fund was launched in March of 2016 to sponsor the education of underprivileged kids who show promise in academics, or vocational skills. 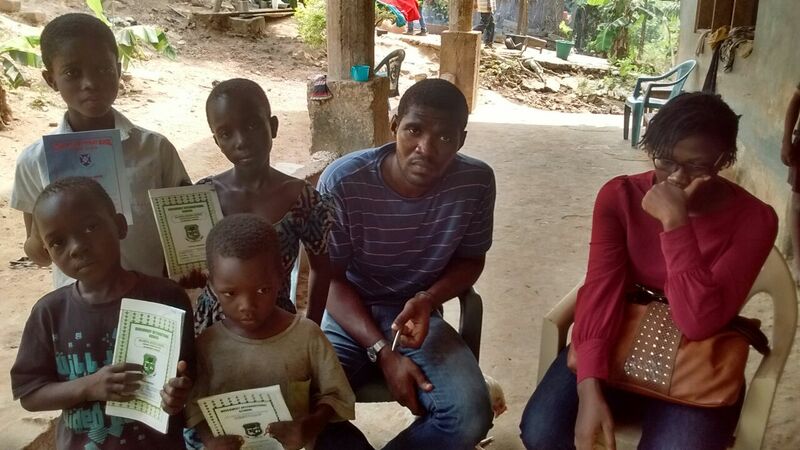 In June of 2016, Ahaban took up the sponsorship for the education of 5 kids in the Akropong area. 4 girls and 1 boy. We paid for their first term tuition fees for the 2016/2017 Academic year. By December of 2016, 4 of the 5 children had relocated with their families to other towns, leaving just one of the sponsored kids in the Akropong area. Our project coordinator, Mr. Lawrence Takyi Adams paid a visit to the town to meet with our affiliate Mr Isaac Kumi. Isaac looks out for under privileged but brilliant kids in Aprede (Eastern Region) who need help with their education. He also trains the kids in IT and basic computer skills. Together they identified 5 other children from Kindergarten to Primary 6 levels who qualify for our educational sponsorship program. Tuition is 50GHS per term. 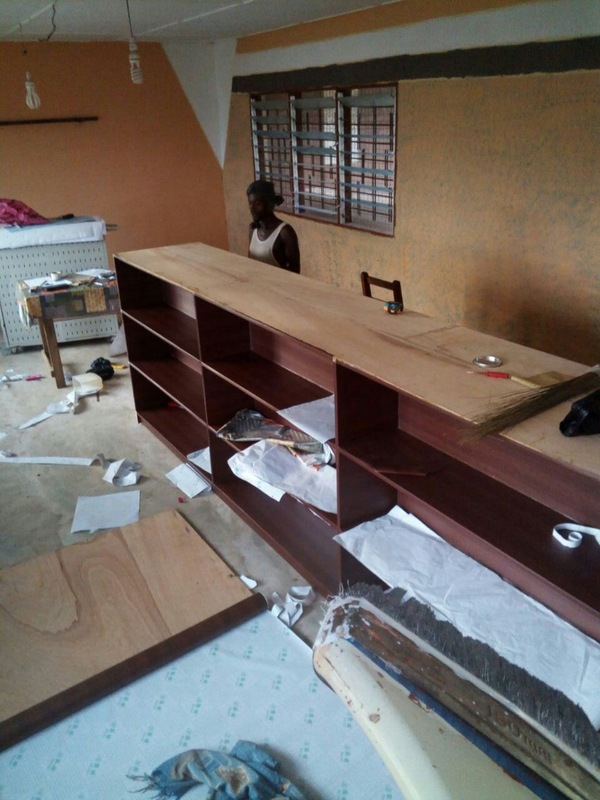 We’ve estimated Educational materials and general upkeep at another 50GHS. You can donate towards the sponsorship of these kids via cash or kind. Food materials, clothes and other items are welcome. Ahaban, will collect, distribute your donations and make frequent follow ups to make sure your donations are going directly to these kids, and being used for the maximum benefit. 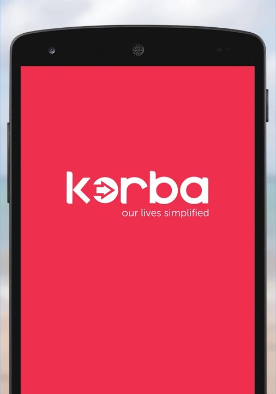 You can also donate via the Korba Mobile Payment App available on both IOS & Android devices. Christmas is a season of love, a time to bring joy to the less privileged in the society and put smiles on the faces of many. It is to this end that the Ahaban GLF in partnership with the Rave Group on Friday, December 16 decided to embark on the “Rave- Ahaban Christmas On Wheels” donation drive. The drive saw several people on the streets presented with donated items from sponsors as well as threats including food, drinks, toys among others. 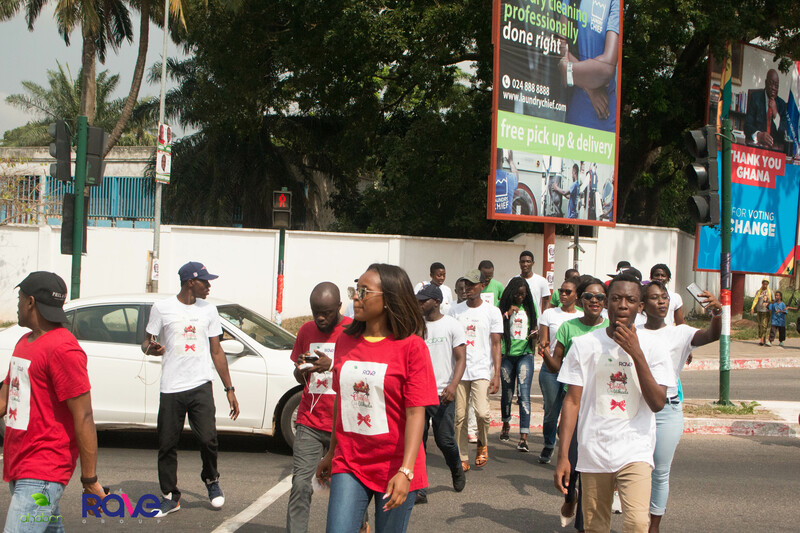 The donation drive began at the Tetteh Quarshie Interchange through to some major streets of Accra pass the 37 Military Hospital, Movenpick Ambassador Hotel and ended at the Accra Psychiatric Hospital in Adabraka. They were over 30 volunteers involved in the exercise from both Ahaban GLF group and Rave Group (and its subsidiaries), who were brought together for their mutual love of sharing. 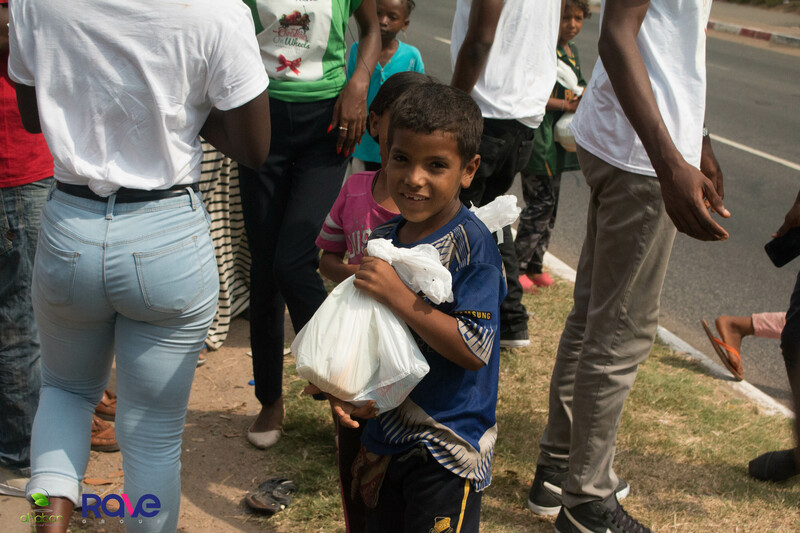 “We planned providing them with food, toys clothing and also spending time with them to enable them experience the joy of the Christmas season. Giving love warmth and hope”. Partnering with Ahaban for Christmas on Wheels following their numerous activities throughout the year gave us the opportunity to do so. He continued. 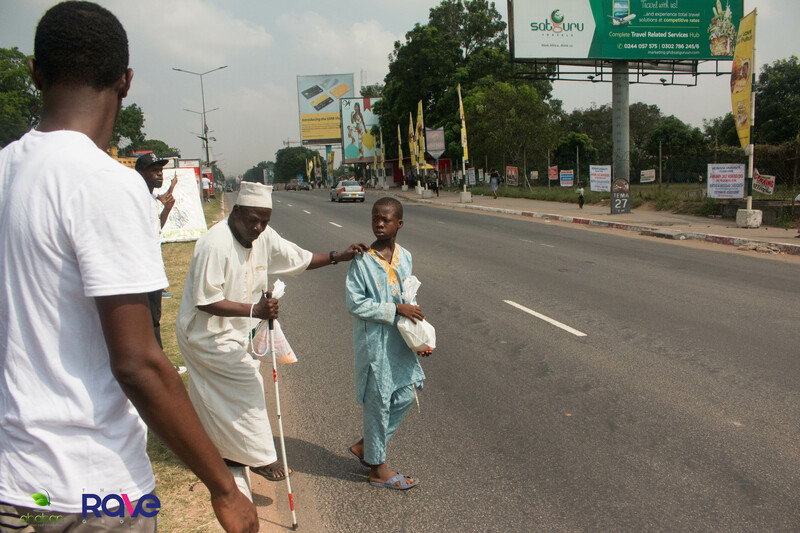 Rave Ahaban Christmas On Wheels, is an event organized by the Rave Group in collaboration with Ahaban GLF as part of its social responsibility to give back to the community. Rave is committed to helping in as many ways as it can. The Rave Group manages; Rave Marketing solution, Media Vault PR, Content Vault and VirDge Digital. 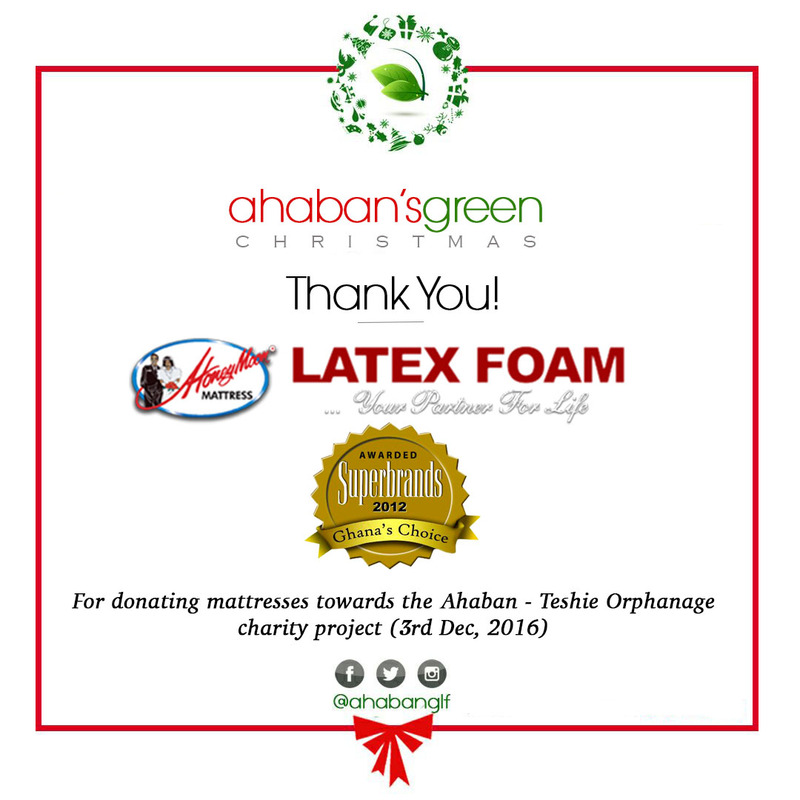 Latex Foam Ltd, producers of quality Latex Foam products, and Ahaban – Green Leaf Foundation, a humanitarian organization, over the weekend, collaborated to provide 20 mattresses to the Teshie Orphanage Home. In line with the project, the members of Ahaban Foundation paid a visit to the orphanage and donated the 20 mattresses on behalf of Latex Foam & Ahaban. The donation which forms part of Latex Foam’s corporate social responsibility projects for the year 2016, was in response to a call from Ahaban GLF to help support the expansion of Teshie Orphanage to their new site by providing student mattresses for the orphans housed there. For Ahaban Foundation, which has the mission of promoting the welfare, education and development of children, the project was part of their Green Christmas initiative to spread the joy of the Christmas season with the less privileged. The donation was made on Saturday the 3rd of December at the Teshie Orphanage Home premises at Teshie. 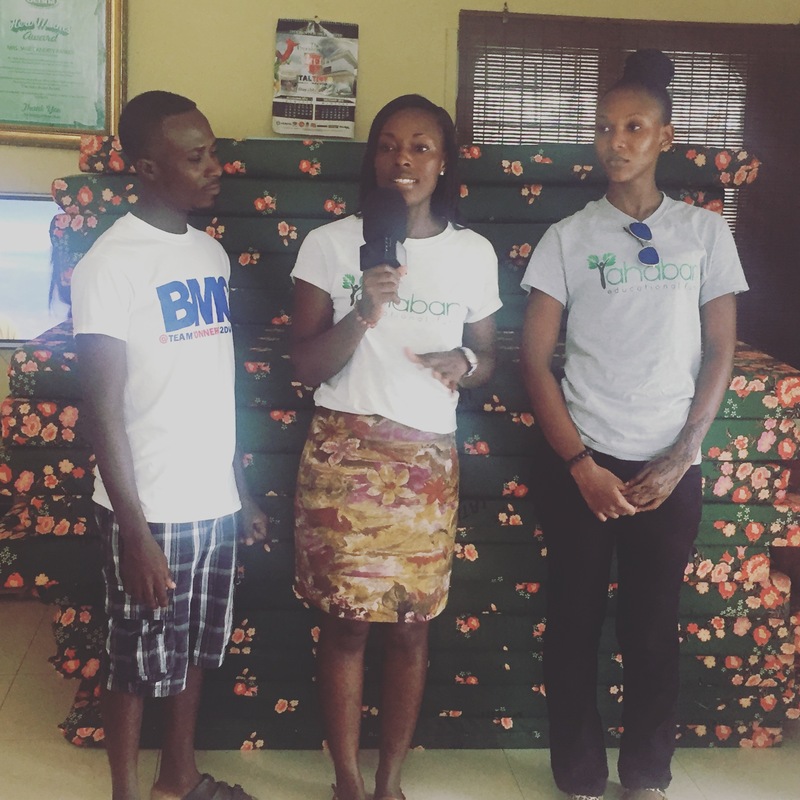 Presenting the mattresses on behalf of Latex & Ahaban, the project coordinator Ms. Awere Ampem noted that they hoped the donation would go a long way to aid the orphanage, ensuring that the children sleep and rest comfortably on Latex Foam mattresses. She also lauded the caretakers on the great work they’ve done in 2016 and encouraged them to continue, ensuring the that Ahaban GLF and Latex Foam Ltd will always be ready to support them in future projects. Receiving the items on behalf of the Teshie Orphanage, Moses Lamptey, thanked both organizations and expressed the need for a continued relationship to ensure young orphans are given the hope and opportunities to develop, learn and progress in their lives. Latex Foam is the leading manufacturer of quality Foam products in the country, satisfying our customers by providing them with quality and innovative Foam Products; catering for the larger society within which they operate. Select the project you’d like to donate to, your payment type & voila! You’re done! Ahaban Green Leaf Foundation (GLF) is embarking on a series of events next month to support the underprivileged in society. 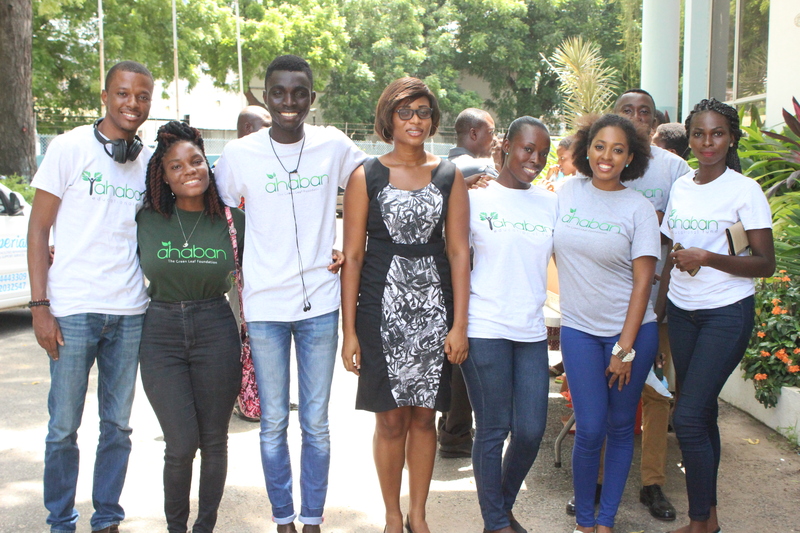 The initiative dubbed ‘Ahaban Green Christmas.‘ will round up what has been an eventful year so far for the non-profit organization: launch of Ahaban Educational Fund, painting the wards of Princess Marie Louie and Ridge hospitals and other notable charity events. 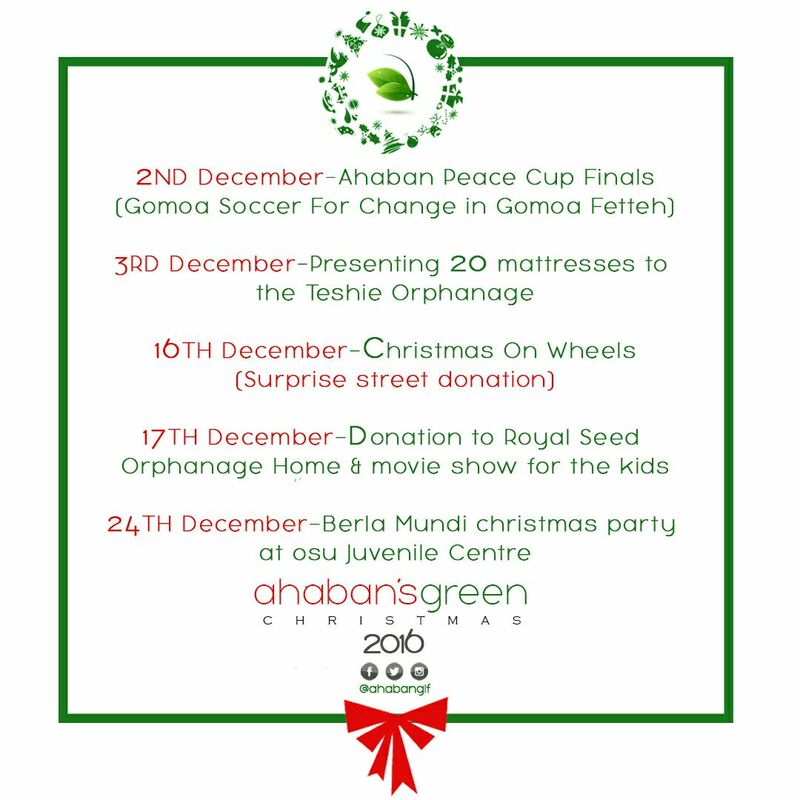 The events planned for the period includes donations and projects at Teshie Orphanage, Royal Seed Orphanage, Gomoa Fetteh and the principle streets of Accra. It will end with the Berla Mundi Christmas Party in collaboration with the Berla Mundi Foundation on the eve of Christmas day. 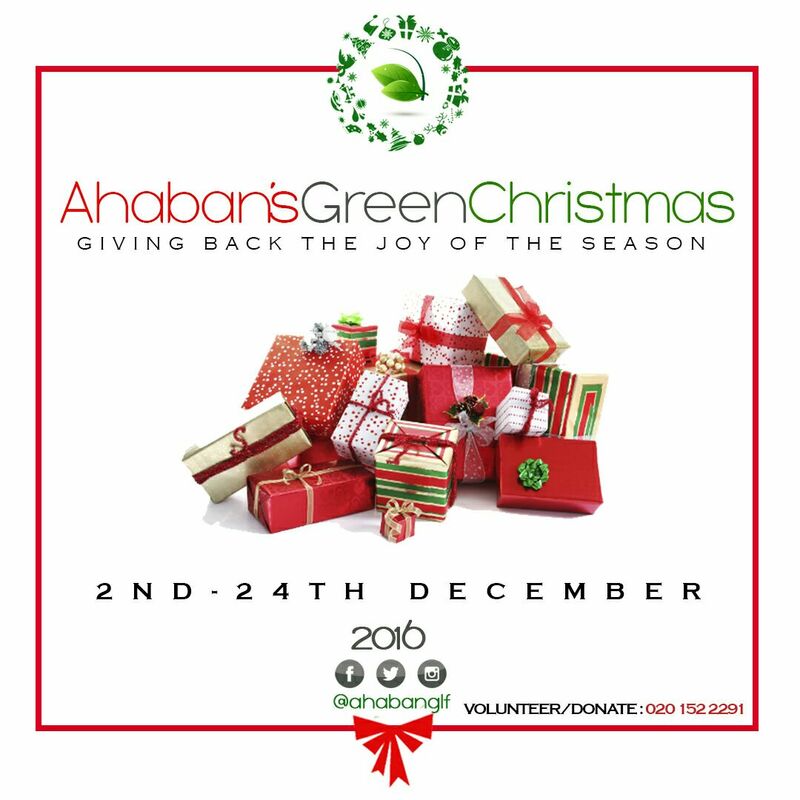 To volunteer or donate towards Ahaban’s Green Christmas charity events call +233 20 152 2291. Ahaban GLF is a humanitarian organization (non-profit) dedicated to working with communities across Africa to tackle our developmental challenges by reaching out holistically to those in need and helping them reach their full potential. Volunteers from Ahaban GLF joined ‘Food for all Ghana’ to say no to food wastage and also got other parties involved to help channel excess food to those who can’t gain access or afford a meal. Together we launched the Right To Food campaign at the Press Center during the first Food For All Conference on the 26th & 27th of May. On the 30th of July 2016, we had the pleasure of joining the The Adoy3 Project -TAP in rehabilitating the Gomoa Fetteh Community School Library. We completed the project and filled up the library with the first batch of books! 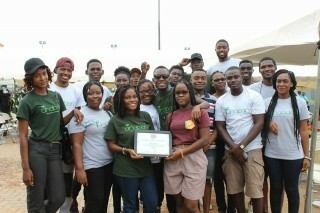 On the 11th of June 2016, our team of volunteers supported Gold Label Africa Outreach at the Gold Label Inter Orphanage Games at the Lizzy’s Sports Complex. Putting smiles on the faces of these precious ones through games!